This gaming desktop comes with a well-designed case that has plenty of room for customization and expansion. You can easily go from an average gamer to a legend with a PC such as the HP OMEN Desktop 880-025se. The tool-less door allows for easy access to the internal components, meaning that you can upgrade or switch out hardware anytime you want for an even more powerful, faster system. One of the best things about the OMEN 880 is its looks. Not only is the inside organized and spacious, the outside is nicely designed as well, with its dark gray casing and bright red “V”-shape on the front cover. There is even a built-in carrying handle on top and a locking mechanism on the back side. With conveniently-placed edge vents, two 120-mm fans, and (optional) liquid cooling technology, this machine is able to stay cool – even when you are running intensive multimedia and graphics. There is no uncomfortable heat coming from it. The processor is an Intel core (four-core) i7-7700 model with turbo boost technology and 8 MB cache. Its base frequency is 3.6GHz, and its maximum frequency is 4.2GHz with the turbo boost. In addition to a powerful CPU, the computer comes with a dedicated 8GB GDDR5 NVIDIA GeForce GTX graphics (1070) graphics card to ensure that you get excellent playback. There is 16GB of DDR4 2400 SDRAM memory that comes as 2 x 8GB. Two additional DIMM slots are available for expanding the memory. There are two hard drives that come with the HP OMEN Desktop 880-025se: a 2TB SATA (7200 RPM) and a 256GB M.2 SSD (PCIe NVMe). A third internal bay (3.5-inch) is included if you want even more storage space. With the solid state drive, you can get speeds of up 17 times faster than a traditional SATA hard drive. The external bay is a DVD-writer / player. You also get a 3-in-1 media card reader. This is an ENERGY STAR certified and EPEAT Silver registered PC, so you can expect it to be extremely energy-efficient. It comes with a 500-W Bronze-efficiency power supply. Ample connectivity is provided with the external I/O ports. There are several USB 3.0 and 2.0 ports located around the chassis as well as a headphone / microphone combo, 1 audio-out, and 1 audio-in, 1 microphone-in. Multi-display support is possible thanks to the HDMI, dual-link DVI, and 3 DisplayPorts. 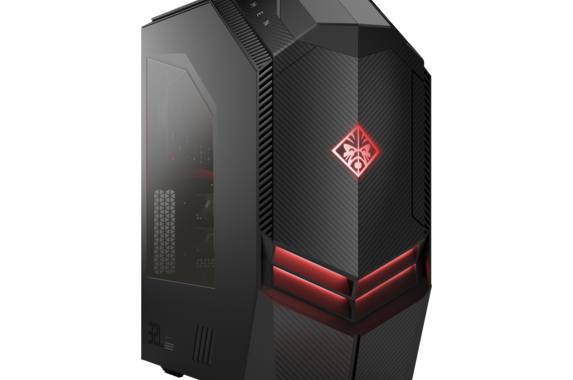 The HP OMEN Desktop 880-025se also comes with wireless technology (2 x 2) and Bluetooth 4.0 combo, WiDi, DTS studio sound, USB optical keyboard and mouse, and DTS Headphone X. If this HP OMEN Desktop 880-025se review has you excited, you’ll be even more excited to know that you don’t have to spend a fortune on it. 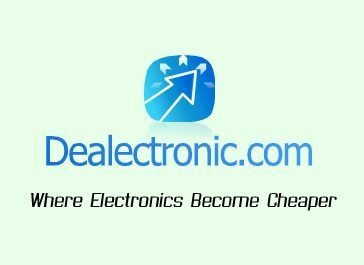 HP promo codes will help you get it at an impressively low price!